After we get your car running at its peak performance, the second most important thing is being able to stop. 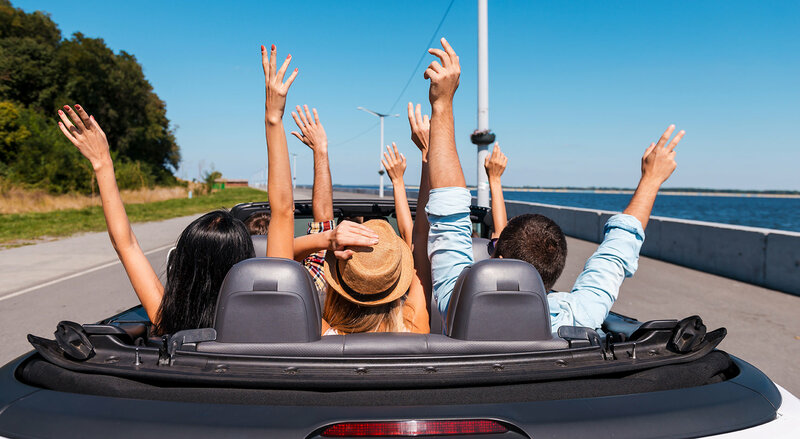 There are many symptoms of brake problems which will let you know it is time for you to have a brake service, and we here at Las Vegas Mobile Mechanics want to go over a few of those with you. You are close or have gone past the recommended number of miles that the manufacturer recommends between brake fluid changes. The warning light on your dashboard stays illuminated indicating brake wear. When braking, you start to hear a grinding or squealing noise. When you press the brake pedal, your car tries to go to one side. When you press the brake pedal, there is a delay in anything happening or the pedal feels soft and spongy under your foot. You press your brake pedal and your foot goes directly to the floor or extra pressure is required. 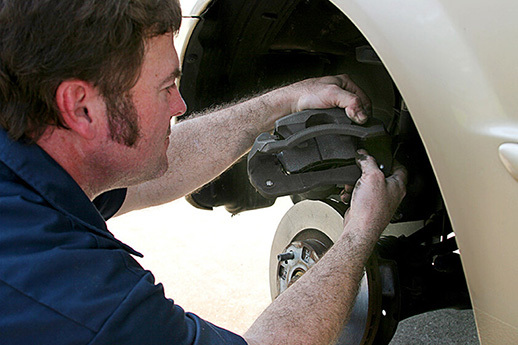 And one of the most fundamentally important parts of a vehicle are the brakes – so you might want to pay attention to them when they need maintenance. During a brake service, our team of mobile mechanics will check the following. Measurement of the front and rear brake pad wear and condition. Measurement of drum wear and condition. Brake fluid test and level check. Once the above checks have been completed, our mechanics will advise you on if any of the following are required. The installation of new brake pads or shoes. Resurfacing (if possible) or replacement of brake rotors or drums. Brake fluid change and brake bleeding. Replacement of brake lines, hoses, and other brake components. Over time brake fluid can become contaminated due to moisture build up, this can lead the brake fluid to erode due to the chemical compounds within it. During a brake service, a strip dip brake test will be performed to see if there is any contamination and you require a brake fluid change. If your brake fluid level drops due to a leak or you have had any other work done on your brakes, it is possible for air to creep into the system. This air is what gives your brakes a spongy feeling and will need to be removed for your brakes to work correctly. These are some signs – of course, this list isn’t the most extensive one but these are some of the most common symptoms – that you can watch out for. Be vigilant and alert, and take the time to really be in tune to the needs of your vehicle. If you think you need brake services done, look no further! The best auto repair shop in Las Vegas, NV is open 24 hours a day, 7 days a week. Give us a call or email us at any time and we’ll be happy to accommodate you!